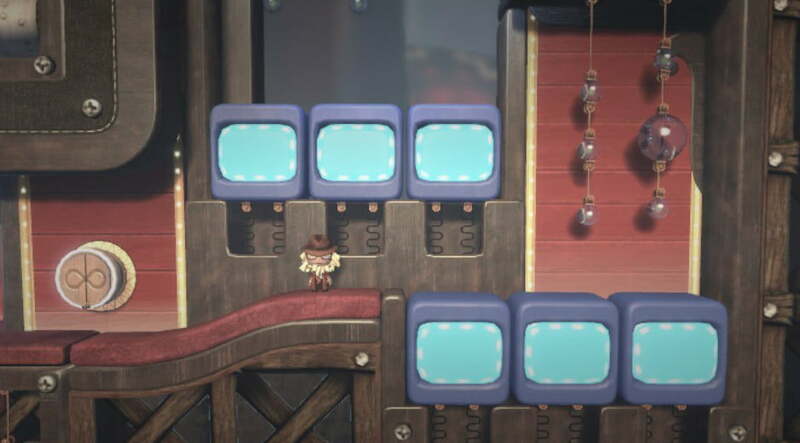 This morning a site called Explosion published a report detailing an upcoming downloadable addition to LittleBigPlanet Vita that had never before been revealed. Dubbed “Marvel Dash,” the new mini-game will drop players into the shoes of famous Marvel superheroes in a side-scrolling, platforming adventure. “According to an inside source, the game will allow players to pick from one of a number of Marvel’s finest, and control their jumps as they run through obstacle-filled levels in the style of games such as Jetpack Joyride,” Explosion states. Given that this report came out of nowhere, it seemed prudent to discuss the topic with the people who actually made the game. Prior to putting this article together we emailed developer Tarsier Studios in the hopes of receiving either a confirmation of this thing’s existence or a flat denial of Explosion’s claims. While the reply we received was brief, the studio’s representatives did not deny the existence of this DLC, and instead simply asked us to be patient while it and publisher Sony prepares a proper, official announcement for Marvel Dash. We’ll bring you any additional details contained in that PR blast just as soon as it lands in our inbox, but in the mean time we’d like to point out how clever this scheme appears. Licensing characters from other companies is nothing new for the LittleBigPlanet franchise — I played through the Vita game as a Big Daddy from BioShock — nor is creating short levels around them, but by dropping the wildly popular Marvel heroes into a mini-game designed to ape the hyper-addictive gameplay of fan-favorite Jetpack Joyride the developers might be on to something big. If nothing else, it should further enhance the game’s already massive pick-up-and-play appeal, and give players yet another intuitive, engaging way to spend alarming amounts of time glued to their Vita. The only real question (aside from the obvious pricing and release date details) we have now is which heroes might appear in Marvel Dash. Will Tarsier simply reuse the large number of Marvel costumes already available to LittleBigPlanet fans, or might this DLC introduce new faces? Given the number of movies Marvel Studios necessarily must promote over the next few years, we wouldn’t be surprised to see relatively unknown figures like Rocket Raccoon pop up in this thing. Then again, we may just be fixated on the idea of an anthropomorphic, heavily-armed raccoon blasting holes in LittleBigPlanet’s giant boss monsters. What about that idea doesn’t sound awesome?